GREENSHINE is a Cork based family trio comprising Noel Shine, Mary Greene and their daughter Ellie. Their material straddles the boundaries of contemporary, folk and roots and includes many self-penned songs. The band is known for striking family harmonies and excellent musicianship. Noel is a multi-instrumentalist, turning his hand to guitar, bass, mandolin, banjo, bouzouki and traditional whistle and this musical dexterity had seen him much in demand as a session and band player by artists as diverse as The Clancy Brothers and Tommy Makem and funk and soul legends The Republic of Loose amongst many others. 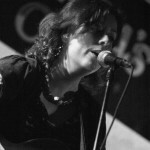 Mary brings rhythm guitar to the mix and her voice is a wonderfully versatile instrument. She has added her talents to the albums of Christy Moore, John Spillane, Mick Hanly and Frances Black as well as cult psychedelic outfit Dr. Strangely Strange. As a duo, Noel and Mary have released 3 critically acclaimed albums to date ~ The Land You Love the Best (placed no. 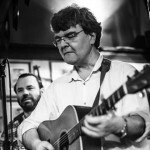 3 in The Irish Times Folk albums of the year of its release), Unspoken Lines (described as ‘The heart and soul of folk music, coming from a deeper well…,’ by John Spillane) while Mary’s solo, Sea of Hearts, earned an impressive 8 out of 10 in Hot Press. Their next single SHADOWLAND continued the band’s upward trend with Jim Lockhart of Horslips commenting: ” It’s lovely – tasty horn and really nice writing and performance.” The song was playlisted on stations around the country and, again, received much airplay on RTE Radio 1 earning them an interview and live 2 song performance on RTE’s flagship arts show Arena. Now we come to Greenshine’s latest single CITY OF DREAMS. It was immense encouragement from fans, too many to count, that made the trio decide to release this song as a single. People are fascinated by the romantic story of Kurt Cobain discovering Irish roots and the story and song hold people enraptured when they hear it live. 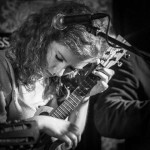 The storytelling element of Mary Greene’s songwriting is what seems to capture people’s imagination most – that and the melodic structure which can often be an element missing from a lot of modern writing and which makes Ron Sexsmith, Paul Simon, The Beatles and writers who employ those skills to perfection amongst the bands’ favourites. “The sound of the Summer,” Alf McCarthy Former RTE Radio 1 broadcaster. “I was fortunate enough to turn on my radio early the other morning when Shay Byrne played this song, which has been haunting me in a gentle way ever since. It’s a beautiful piece written by Mary Greene and sung by her daughter Ellie, accompanied by her father Noel Shine. Together they go under the name Greenshine. If it gets enough airplay, I think it could be an international hit for them. Listen carefully to the lyric and the wonderful melodic chord structure that facilitates so accurately the telling of the colourful melodious story. It’s a great achievement and should be heard, especially by young people on the hazardous but amazing journey of life.” – Johnny Duhan, writer of The Voyage for Christy Moore. This is a gorgeous album ~ the Sound of a Family immersed in music, tight in harmony, in love with song. Shine on Greenshine.